Tata Nano is not only the most unique car in the world for being the cheapest production car around the world, but its now one of the first cars in India to go on the e-commerce path selling official merchandise using eBay India platform. 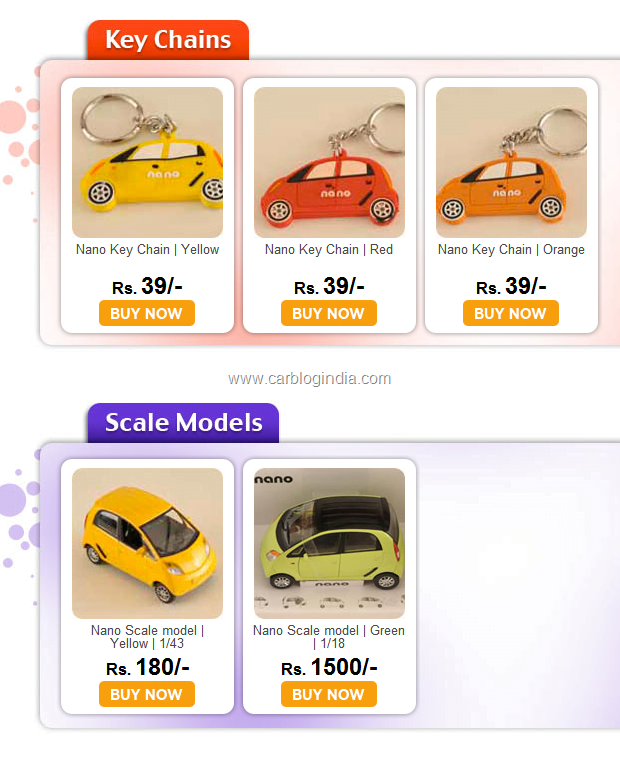 Now you can buy Tata Nano scale models, key-chains, apparels and accessories from Tata Nano page on eBay. This is an attempt by Tata to increase the presence of Nano as a brand name and offer the fans and customers with option to get the official merchandise with ease at reasonable prices using the online e-commerce platform which is becoming increasingly popular these days. This online merchandise of Tata Nano starts from a price range of as low as Rs. 39 for key-chains and goes up to Rs. 2655 for Nano branded wrist watches. The entire range of the merchandise on offer includes Nano branded Titan watches and dry-fit T-shirts for men and women, Nano shaped pen drives, mouse, scale models, caps, key-chains etc. 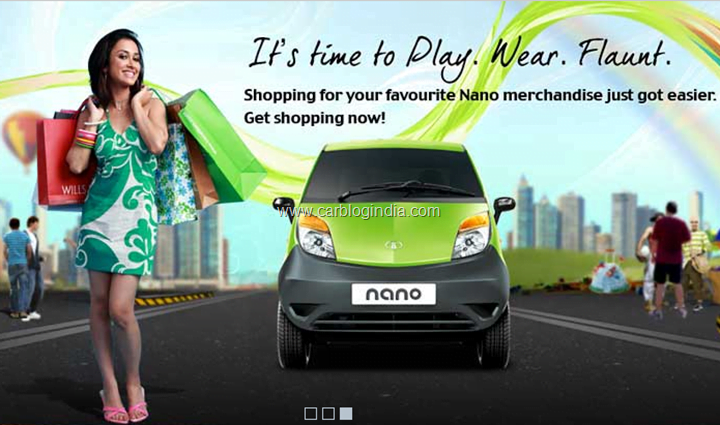 So tell us your views about the Nano online store and merchandise by leaving a comment below.